The first witness was Pham's stepdaughter, Lana Pham, a 10th grader. She told jurors that she was home alone the evening of October 22, 2005, when Pham forced his way in. He dragged her by the hair to her bedroom, bound her, prayed with her then when her mother, Phi Ai "Amy" Pham, 32, walked in, he attacked the woman with a butcher knife. The girl said Tai Pham then got into a fight with her mother's boyfriend, Christopher Higgins, and while they struggled, she called for help. Assistant State Attorney Gino Feliciani told jurors that Tai Pham stabbed and slashed his wife at least six times. Tai Pham also stabbed Higgins in the ear, Feliciani said. 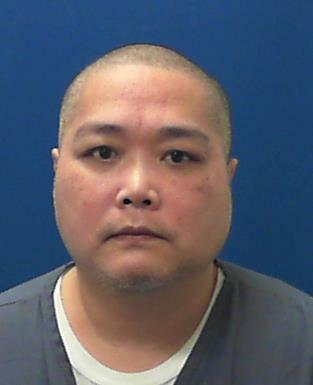 Pham was sentenced to death in Seminole County on November 14, 2008. SANFORD - A Vietnamese immigrant who stabbed his estranged wife to death in front of her teenage daughter was sentenced to death Friday by a Seminole County judge. Tai Pham, 36, was convicted earlier this year of first-degree murder in the death of Phi Ai "Amy" Pham. Pham, 32, was stabbed at least six times after she returned home from a date in October 2005. Prosecutors sought the death penalty, and in May, a jury recommended death for Tai Pham. Tai Pham, an electronics repairman, and Amy Pham had been separated about two years when the slaying occurred. Today, the Florida Supreme Court AFFIRMED Pham's conviction and death sentence on direct appeal. On March 19, 2012, the US Supreme Court denied Pham's certiorari petition. On December 15, 2015, Pham filed a habeas petition in Federal District Court.